Arrival in Irkutsk. 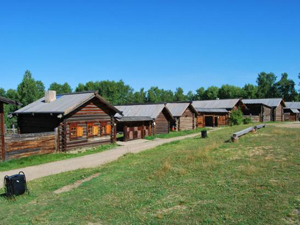 Car transfer to the village situated only 60km away from Irkutsk - Listvyanka. Check-in to a mini-hotel and enjoy a bus tour around Listvyanka. Tour to a local Baikal museum that has a set of aquariums. There is one with the only mammal representative, the Baikal Seal, in it. Walk up to a nearby view point. 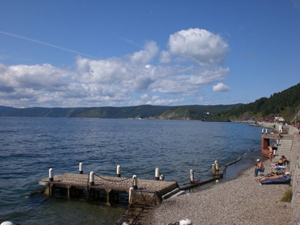 There you'll get a chance to take panoramic pictures of Lake Baikal from above. Enjoy your visit to a local 19th century wooden St.Nicolas church and a local fish market where you'll see a great variety of fish. A trip to the wooden architecture museum Taltsy. 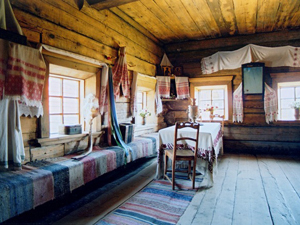 In the museum you'll see the settlements of indigenous Siberian people of 17th-20th centuries. Some of the buildings presented in the museum were brought there from the villages that were flooded after building a dam in Irkutsk. Have lunch at the local siberian restaurant. Stop at the Shaman Rock observation point. Banya (Russian sauna) in the evening (can be booked on spot). Cross from Listvyanka to Port Baikal on a ferry. Visit to the Circum-Baikal Railway museum followed by a day-long trip on the historical train. The train will make stops at historically important villages on the way, which gives you a chance to walk around and take beautiful pictures of the monuments of engineering, architecture and nature. 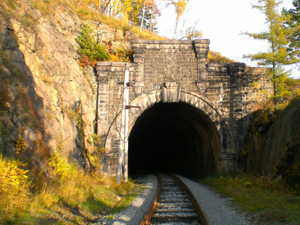 The guide will take you through the longest tunnel on the railway; will show you the water pump towers that used to pump water for the steam train. Return to Irkutsk at night. Transfer to the hotel. Enjoy a 2-hour walking city tour in the evening. It starts at the historical part of the city: Epiphany Cathedral, the oldest stone-structure Church of our Saviour and the only Catholic Cathedral in Irkutsk, Polish Roman Catholic Church. The tour leads you through the Kirov Square and circus, taking you to the main street of Irkutsk, the Karl Marks Street. You'll walk along the street to get to the Angara river embankment, where you'll see the monument to Alexander III. Complete the tour with the visit to the district of historic wooden buildings. Due to the limited schedule of the Circum-Baikal railway the train only goes on MN, WD, TH, FR or SN from 20/05/2018 until 12/10/2018. Please, check with us if your dates correspond with this tour. Circum-Baikal railway charges extra 400 rubles a piece for the luggage bigger than 30*40*50cm. Please note that the price might change due to the accommodation availability. Please note that if you arrive at night (9pm-7am), extra charge will occur. © BM - Tours Ltd.